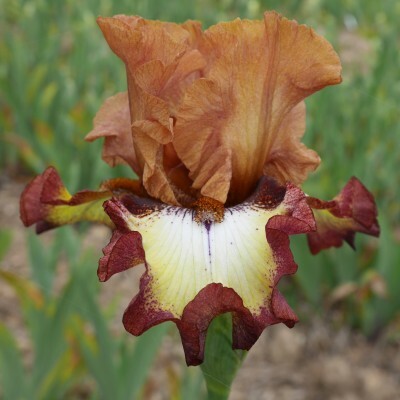 A huge flower of impeccable shape, ruffled but not too much. The colour is a rich purple-violet shimmering like silk, even the beards are dark purple-blue. 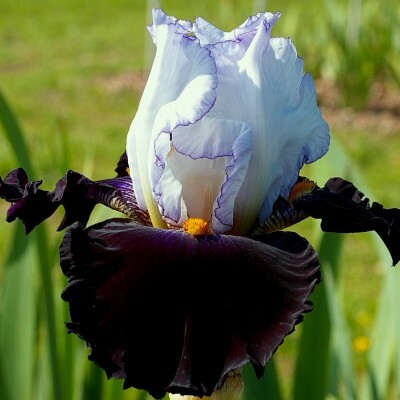 Years of research were needed to obtain this rare jewel which offers a striking and clear contrast: practically pure white standards with an almost imperceptible violet border and jet-black falls with golden yellow beards. 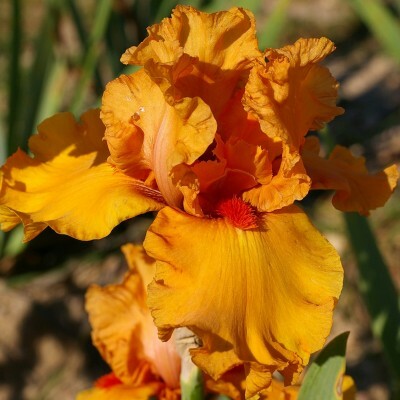 These wide flowers are ruffled on the edges and stand on a well branched stalk. Previewed at the 2012 edition of the Chelsea Flower Show, they were a huge success with the new varieties enthusiasts. Tan-coloured orange, lighter below the big red-orange beards. Ruffled flowers that will bring warmth and beauty to your borders. Sibling to 'Tapis Rouge' , yet completely different in its so very pleasant pastel tones. 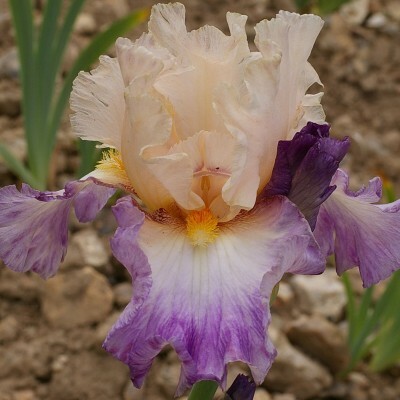 Very light pink beige standards framed by wide and ruffled falls of pale lavender pink turning white toward the centre. Light orange beards.